I’ve enjoyed the weekly photo challenges and this week’s is no exception. It gives me a chance to go back to all the photos I’ve taken with my cell phone, and some of them aren’t half bad! I live in the suburbs, but there is also a fair amount of wooded areas nearby so we get our share of wildlife in the neighborhood. Early one morning a red fox went scurrying down the street, stopping into each driveway to see what’s-what, and then going continuing on to the woods at the end of the street. It is surprising what we get to see. 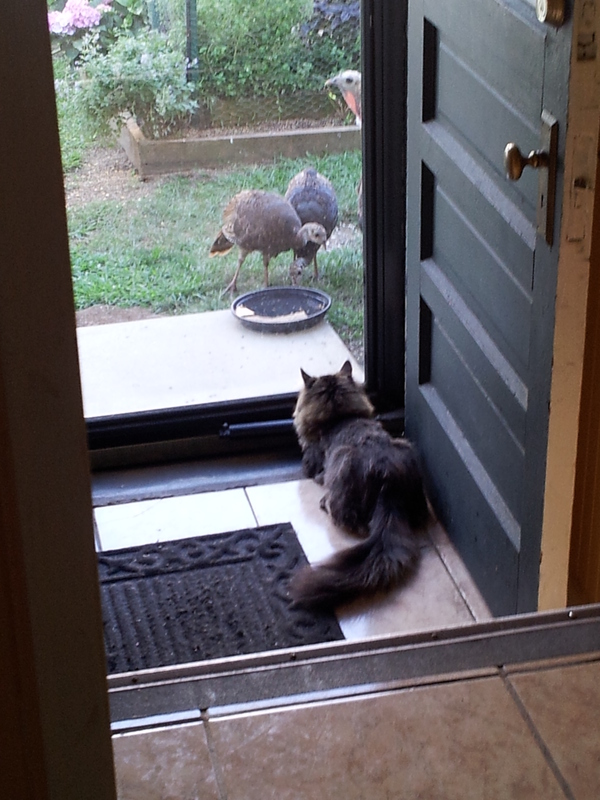 These pictures are of a family of turkeys that stopped by every day for a couple of months last fall to have their dinner with us. We will continue to “thank” our friends feather friends this spring, summer and fall, too. 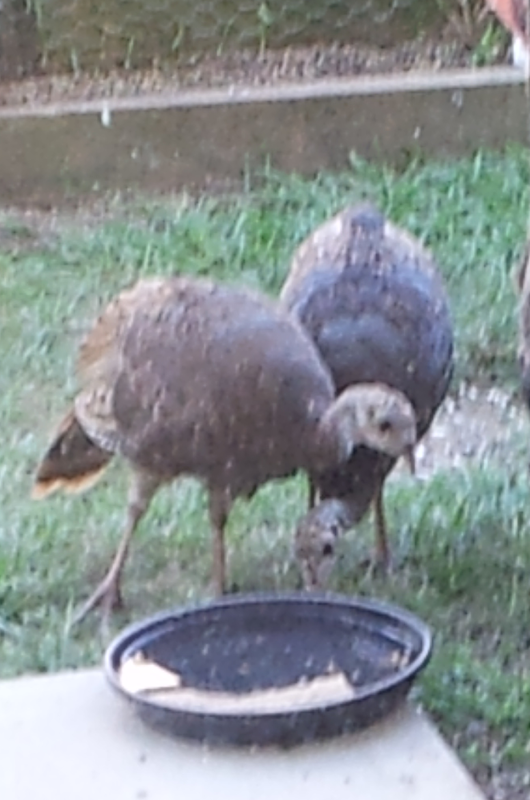 Turkeys need a drink on a hot day! Bubba needed some entertainment on a hot day, too. We know our grandchildren always enjoyed seeing our backyard visitors. Some things they would never see in Arizona!